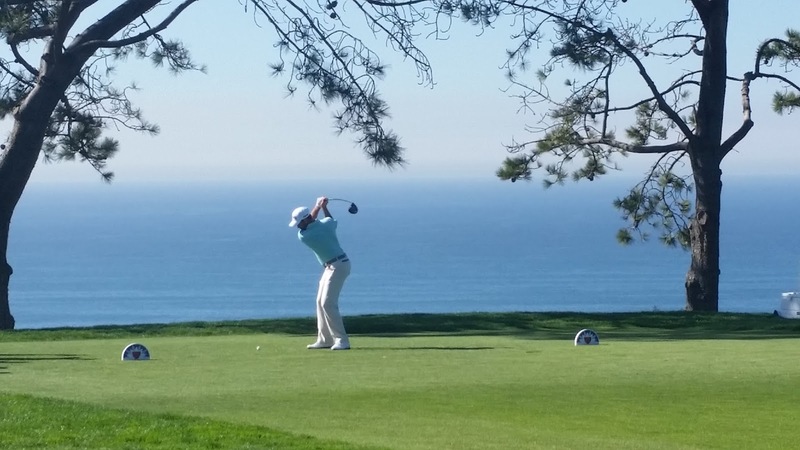 Michael Thompson posted a solid two under par 70 on the North Course at Torrey Pines during the first round of the Farmers Insurance Open and is currently tied for 34th. The scoring average on the North Course was 70.9 so he was a shot under that but he could easily have been four under or even lower. He had a birdie putt on hole #4 all but fall to the bottom of the cup (see the video below) and he had birdie putts on holes #8 and #9 that just missed. The birdie put on #9 looked good all the way to the hole and right before it reached the hole it broke hard to the left and just missed. Michael's round from a stats point of view probably doesn't look great since he missed a lot of fairways early although he wasn't missing the fairways by much. Even though he wasn't hitting a lot of fairways early in the round, he was hitting a lot of greens. Towards the end of the round he began hitting fairways more consistently and had birdie opportunities on most of the final 5 holes including really good looks on the final three holes (he made the one on hole #7). 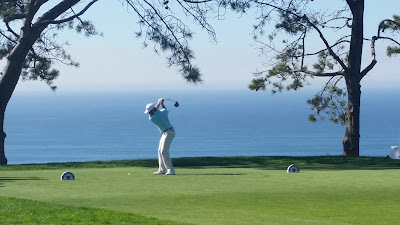 Tomorrow, Michael will be teeing off at 9am PT from the South Course. The earlier tee time should help with the Poa Annua greens that become very bumpy in the afternoon as they bloom. Michael's birdie putt on hole #4 makes 180 degree turn rather than falling into the hole like it should have. Come on ball!